It didn’t work… Martín used to enter secretly & visit Mariquita. Eventually they both pleaded with the Vicerroy to annul the arranged marriage, & the couple happily married in 1805. Five children later, Martín was sent on a diplomatic mission to the US & died soon after his return. Mariquita Sánchez de Thompson did not remain single for long. She soon married the French embassador, Jean Baptiste Washington de Mendeville. Although the couple had three children, the marriage was not a happy one. With divorce illegal, their only recourse was separation. Mendeville left Buenos Aires & never returned. During the government of Rosas, Mariquita Sánchez de Mendeville lived in exile in Montevideo. After the defeat of Rosas & returning to Buenos Aires, she worked tirelessly for the largest benefit organization in the city & even came to know President Sarmiento. Mariquita was always involved in politics. 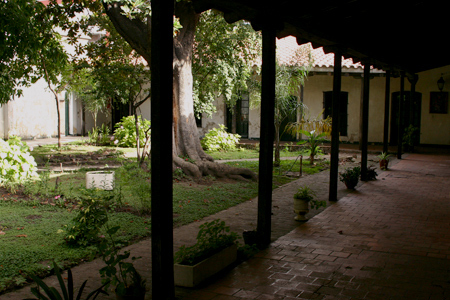 In fact, history credits her as being one of the first people to hear the Argentine national anthem written by Vicente López y Planes in 1813… performed at her home on Calle Florida. 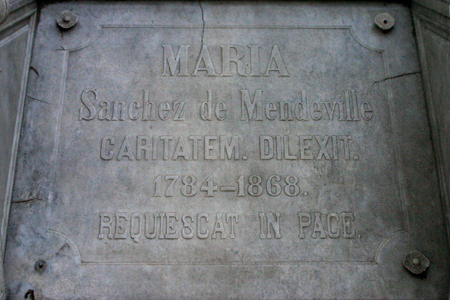 Mariquita passed away at the age of 82 in 1868. 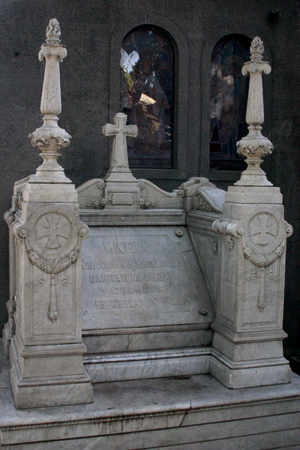 Someone else is buried in Recoleta Cemetery with Mariquita. 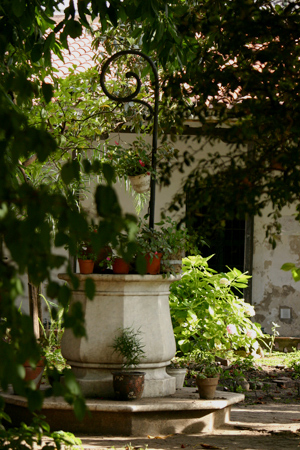 With strong connections to France thanks to her last husband, she was named godmother of Isabelle Colonna-Walewski, granddaughter of Napoleón Bonaparte. Born in Buenos Aires in 1847, Isabel only lived 50 days. Latin on the tombstone sums up Mariquita’s life in two words: Charity. Loved. Her crypt was declared a National Historic Monument in 1946.
las fotos pertenecen a la casa de los ejercicios espirituales ,un lugar increible en la calle independencia,un pedazo de la bs as colonial todavia de pie.esta tumba encierra historia pura. ¿Me podrias pasar la direccion exacta de la casa de ejercicios espirituales? ¿Esta abierta al publico? Ricky – Tienen algo de información acá: Santa Casa de los Ejercicios Espirituales. Vale la pena la visita.